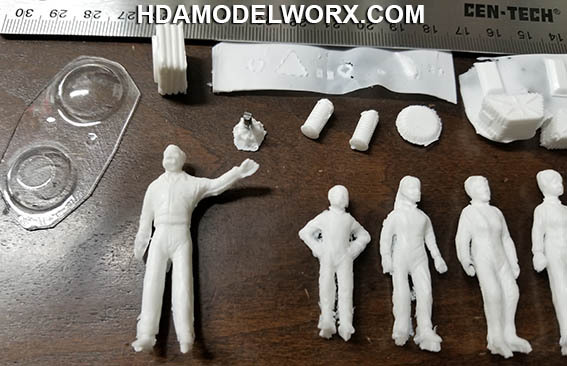 These are the hard to find Space Suit figures from Lunar Models for the 1/32 Scale Jupiter II Model Kit. 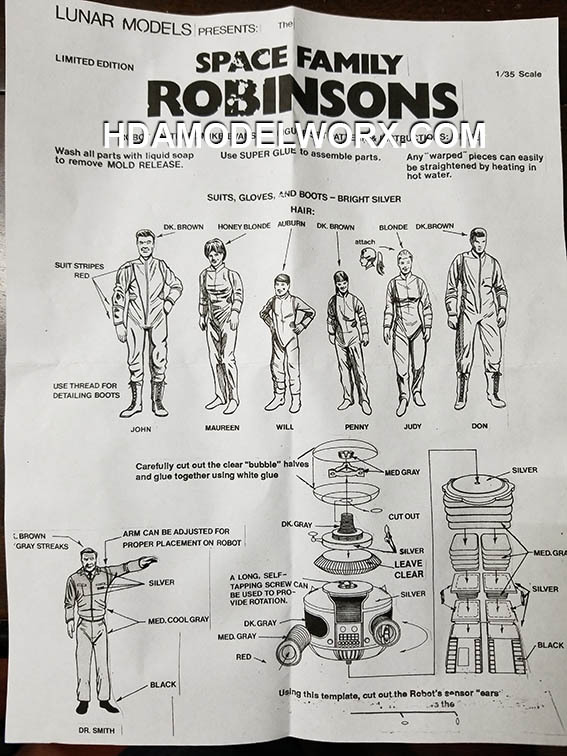 Each figure of the crew of the Jupiter 2 is represented along with the B9 Robot and Dr. Smith from the original Irwin Allen TV show! 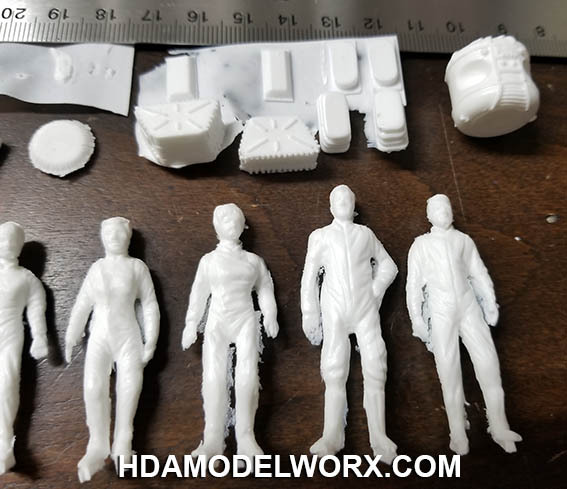 Perfect for your LIS Jupiter 2 Model kit from Moebius Models!